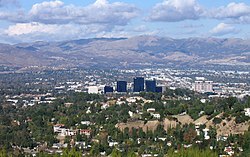 Woodland Hills is in the southwestern region of the San Fernando Valley which is located east of Calabasas and west of Tarzana. On the north it is bordered by West Hills, Canoga Park, and Winnetka, and on the south by the Santa Monica mountains. Victor Girard Kleinberger bought 2,886 acres (1,168 ha) in the area from Chandler's group and founded the town of Girard in 1922. He sought to attract residents and businesses by developing an infrastructure, advertising in newspapers, and planting 120,000 trees. His 300 pepper trees formed a canopy over Canoga Ave. between Ventura Boulevard and Saltillo St. became Los Angeles Historic-Cultural Monument #93 in 1972. The community of Girard was eventually incorporated into Los Angeles, and in 1945 it became known as Woodland Hills. Woodland Hills has a firmly subtropical mediterranean climate (Köppen climate classification Csa). Within the San Fernando Valley, Woodland Hills generally experiences some of the more extreme temperature changes season to season than other regions. During the summer, temperatures are often very hot, while during the winter, overnight temperatures are among the coldest of the region. On July 22, 2006, Woodland Hills recorded the highest temperature ever in Los Angeles County, hitting 119 °F (48 °C) at Pierce College. The climate is classified as a Csa in the Köppen climate classification, which is characterized by mild, rainy winters and hot, dry summers. This climate is often referred to as mediterranean. Precipitation in Woodland Hills averages much the same as most other regions of the west San Fernando Valley, although somewhat higher amounts of rainfall occur in the surrounding hills. In population, it is one of the least dense neighborhoods in Los Angeles, and the percentage of white people is high for the county. The percentage of residents 25 and older with four-year college degrees is 47.0%, which was high for both the city and the county. The percentage of veterans, 10.7% of the population, was high for the city of Los Angeles and high for the county overall. The percentage of veterans who served during World War II or Korea was among the county's highest. The 2008 Los Angeles Times's "Mapping L.A." project supplied these Woodland Hills neighborhood statistics: population: 59,661; median household income: $93,720. The Times said the latter figure was "high for the city of Los Angeles and high for the county." Woodland Hills Warner Center Neighborhood Council is the local elected advisory body to the city of Los Angeles representing stakeholders in the Woodland Hills and Warner Center areas. Los Angeles Fire Department Station 84 (Woodland Hills) and Station 105 (Woodland Hills) serve the community. The Los Angeles Police Department operates the newly built Topanga Division station in Canoga Park  which provides service to the Woodland Hills area. The United States Postal Service Woodland Hills Post Office is located at 6101 Owensmouth Ave. The community's postal codes are 91364, 91365, and 91367. Woodland Hills is represented in the United States Senate by California's Senators Dianne Feinstein and Kamala Harris. 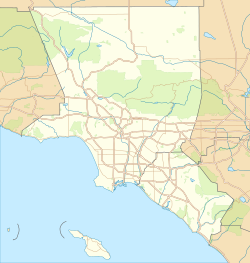 Woodland Hills is located within California's 30th congressional district represented by Democrat Brad Sherman. Woodland Hills is within California's 45th State Assembly district represented by Democrat Jesse Gabriel and California's 27th State Senate district represented by Democrat Henry Stern. Woodland Hills is located within Los Angeles City Council District 3 represented by Bob Blumenfield. Public schools serving Woodland Hills are under the jurisdiction the Los Angeles Unified School District. Much of the area is within Board District 4. The school opened in 1959 as "Parkman Junior High School." It received its current name in 2006. Halsey Schools – 6 weeks – 6 years. Woodland Hills Private School – serving Preschool (starting at 2 years old) through Fifth Grade. Lycée International de Los Angeles previously had a Woodland Hills campus, which had over 140 students as of 2001. This was in a public school building, rented from the Los Angeles Unified School District. In 2001 LAUSD announced that it would not renew the lease. Lycée Français de Los Angeles previously operated a San Fernando Valley campus in Woodland Hills, on the site of Platt Elementary School. The Los Angeles Public Library operates the Woodland Hills Branch Library (Ventura Boulevard) and the Platt Branch Library (Victory Boulevard) in Woodland Hills. Woodland Hills is home to the Woodland Hills Country Club, a private equity golf club. The country club is complete with golf course, fine dining, and entertainment options. The Woodland Hills Recreation Center (Shoup Park) is a 19-acre (7.7 ha) park in Woodland Hills. The park has a small indoor gymnasium without weights and with a capacity of 300; it may be used as an auditorium. The park also has a lighted baseball diamond, outdoor lighted basketball courts, a children's play area, a lighted football field, picnic tables, a lighted soccer field, and lighted tennis courts. Woodland Hills Pool is an outdoor seasonal unheated swimming pool. The Warner Center Park, also known as Warner Ranch Park, is located in Woodland Hills. The park, unstaffed and unlocked, has a children's play area and picnic tables. Serrania Park in Woodland Hills is an unstaffed, unlocked pocket park. It has a children's play area, hiking trails, and picnic tables. Alizondo Drive Park in Woodland Hills is an unstaffed, unlocked, and undeveloped park used for brush clearance once per year. Along the western boundary of Woodland Hills is the large Upper Las Virgenes Canyon Open Space Preserve, a regional park with a trail network for miles of hiking, mountain biking, and equestrian rides. The trailhead and parking are at the very western end of Victory Boulevard in Woodland Hills. Scheduled walks and programs are offered. The Santa Monica Mountains National Recreation Area has various parks nearby to the south of the community. The Top of Topanga Overlook gives panoramic views of the verdant Woodland Hills neighborhoods and the Valley. The Motion Picture & Television Country House and Hospital, a private retirement, nursing care and acute-care hospital facility is reserved exclusively for industry professionals. The article contains a list of people who lived and/or died there. Although they Woodland hills may be noted as their place of death, they would not typically be listed here. Jacques Aubuchon, actor, living in Woodland Hills at the time of his death. Ted Cassidy, actor; his cremated remains are buried in an unmarked location at his former Woodland Hills residence. Don Van Vliet (aka Captain Beefheart), musician, singer and composer. Captain Beefheart's definitive album Trout Mask Replica was composed and rehearsed in a communal house in Woodland Hills 1968–1969. ^ "article". Usatoday.com. March 4, 2006. Retrieved October 3, 2011. ^ "Thompson v. Los Angeles Farming & Milling Co.'', U.S. Supreme Court, 180 U.S. 72 (1901)". Supreme.justia.com. September 19, 2011. Retrieved October 3, 2011. ^ a b "History (Woodland Hills)". Archived from the original on October 7, 2007. Retrieved June 24, 2007. ^ "Los Angeles Historic-Cultural Monuments". Preservation.lacity.org. Retrieved October 3, 2011. ^ Bob Pool; Rong-Gong Lin II (September 27, 2010). "L.A.'s hottest day ever". Los Angeles Times. Retrieved March 21, 2013. ^ "World Maps of Köppen-Geiger climate classification". Koeppen-geiger.vu-wien.ac.at. Retrieved October 3, 2011. ^ "Woodland Hills Pierce College, California - Climate Summary". Wrcc.dri.edu. Retrieved December 4, 2017. ^ a b c ""Woodland Hills" entry on the ''Los Angeles Times'' "Mapping L.A." website". Projects.latimes.com. Retrieved October 3, 2011. ^ Board District 4 Map. Los Angeles Unified School District. Retrieved on November 24, 2008. ^ "Calabash Elementary School- Woodland Hills". Calabashelementary.com. Retrieved October 3, 2011. ^ "Serrania Avenue Elementary School – Welcome to Serrania Avenue". Serraniaavenue.org. Retrieved October 3, 2011. ^ A WordPress Commenter (September 16, 2017). "Best mini drone – Mini drones for sale". Woodlakeschoolptsa.com. Retrieved December 4, 2017. ^ "You are about to leave the LAUSD network". Lausd.k12.ca.us. Retrieved June 8, 2018. ^ "Ivy Academia PreK-12 Grade". Ivyacademia.com. Retrieved October 3, 2011. ^ "Woodland Hills Academy". Whacademy.com. Retrieved October 3, 2011. ^ "School History." Woodland Hills Academy. Retrieved on October 24, 2011. ^ "Infant Center & Preschool in Woodland Hills a.k.a. daycare & childcare". Halseyschools.com. Retrieved October 3, 2011. ^ "Woodland Hills Private School". Woodland Hills Private School. Retrieved October 3, 2011. ^ "Woodland Hills (Archive). Lycée International de Los Angeles. Retrieved on June 29, 2015. "5724 Oso Avenue Woodland Hills, CA 91367"
^ Ritsch, Massie. "6 Private Campuses in Valley Face Eviction." Los Angeles Times. January 9, 2002. Retrieved on June 29, 2015. ^ Lingre, Michele. "Early Linguists : Private Foreign-Language Schools Give Bilingual Education a New Twist." Los Angeles Times. April 28, 1988. p. 2. Retrieved on June 29, 2015. "Le Lycee Francais de Los Angeles (Valley campus), 5345 Wilhemina Avenue, Woodland Hills"
^ "SPECIAL CLOSED SESSION MINUTES 9:30 a.m., Tuesday, September 10, 2002" (Archive). Los Angeles Unified School District. Retrieved on June 29, 2015. "Platt School site, located at 5345 Wilhemina Avenue, Woodland Hills"
^ "Woodland Hills Branch Library." Los Angeles Public Library. Retrieved on March 20, 2010. ^ "Platt Branch Library." Los Angeles Public Library. Retrieved on March 20, 2010. ^ a b "Woodland Hills Recreation Center." City of Los Angeles. Retrieved on March 20, 2010. ^ "Woodland Hills Swimming Pool." City of Los Angeles. Retrieved on March 20, 2010. ^ a b "Warner Center Park." City of Los Angeles. Retrieved on March 20, 2010. ^ "Warner Ranch Park." City of Los Angeles. Retrieved on March 20, 2010. ^ "Serrania Park." City of Los Angeles. Retrieved on March 20, 2010. ^ "Alizondo Drive Park." City of Los Angeles. Retrieved on March 20, 2010. ^ "Upper_Las_Virgenes_Cyn.-park". Lamountains.com. Retrieved October 3, 2011. ^ "Bud Abbott, Straight Man To Lou Costello, Is Dead". The New York Times. April 25, 1974. ^ "Jacques Aubuchon, 67, an Actor In Movies, Plays and TV Dramas". The New York Times. Retrieved March 24, 2017. ^ a b "Rick Auerbach Stats". Baseball Almanac. Retrieved November 26, 2012. ^ December 2, 20112:29PM CSTChicago Fire Communications (December 2, 2011). "Fire Sign Orr Barouch". Chicago Fire. Retrieved December 4, 2017. ^ Nicole LaPorte (November 5, 2014). "JUSTINE BATEMAN ON PULLING OFF A MAJOR MIDLIFE CAREER PIVOT". Fast Company. Monsueto Ventures. Retrieved November 23, 2014. ^ Fox, Margalit (April 10, 2013). "Helena Carroll, 84, Actress of Stage and Screen, Dies". New York Times. Retrieved May 6, 2013. ^ "Mary Carver". Academy of Television Arts and Sciences. October 27, 2013. Retrieved November 13, 2013. ^ Allan R. Ellenberger (2001). Celebrities in Los Angeles Cemeteries: A Directory. Mcfarland. p. 227. ISBN 978-0786409839. ^ Barnes, Mike (February 21, 2016). "Mary Weaver Dodson, Art Director on 'Murder, She Wrote,' Dies at 83". The Hollywood Reporter. Retrieved March 13, 2016. ^ "Celebrity Real Estate: Music Producer and Musician John Feldmann Lists in Woodland Hills". Retrieved January 15, 2014. ^ "In Memory Of Andy And Hugh Gibb". www.brothersgibb.org. Retrieved January 1, 2016. ^ "Raymond Greenleaf". IMdB. Retrieved May 4, 2014. ^ 1 (July 18, 2013). "'Sons of Anarchy' Star Ryan Hurst - Drops $1.7 Million ... On Mansion To Die For". TMZ.com. Retrieved December 4, 2017. ^ Meade, Marion (1997). Buster Keaton: Cut to the Chase. Da Capo. p. 284. ISBN 0-306-80802-1. ^ Facebook Twitter email Print Article AA (November 6, 2014). "Was Chief Keef Too Gangster for Interscope?". L.A. Weekly. Retrieved December 4, 2017. ^ "Jack Klugman Died from Prostate Cancer". tmz.com. January 4, 2013. Retrieved January 5, 2013. ^ Bruce Weber (December 24, 2012). "Jack Klugman, Actor of Everyman Integrity, Dies at 90". The New York Times. ^ "Jewish Sports Review Tabs Adam Amar and Joey Lieberman 2007 All-Americans". CSTV. July 17, 2007. Retrieved August 19, 2011. ^ Ron Kaplan (August 18, 2011). "One man's ceiling is another man's floor". New Jersey Jewish News. Retrieved August 19, 2011. 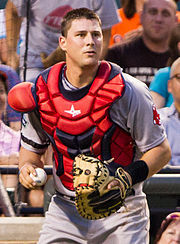 ^ "Red Sox prospect Ryan Lavarnway gets call-up, will play tonight". Jewish Baseball News. August 16, 2011. Retrieved August 20, 2011. ^ "Charles McPhee, Host of 'Dream Doctor' on Radio, Dies at 49". The New York Times. March 14, 2011. Retrieved August 25, 2014. ^ "Dolores Moran". Find a Grave. Retrieved September 13, 2013. ^ "Nichelle Nichols Hollywood Star Walk of Fame". LA Times. Retrieved February 15, 2019. ^ "Robert Claire Smale". Los Angeles Times. December 22, 2010. Retrieved August 23, 2015. ^ Staff. "Russell Thacher, 71, Producer and Writer", The New York Times, October 4, 1990. Accessed November 25, 2017. "Russell Thacher, a film producer and writer, died on Monday at the U.C.L.A. Medical Center in Los Angeles. He was 71 years old and lived in Woodland Hills, Calif."
^ Pauline O'Connor (September 10, 2010). "Captain Beefheart's Cabin in Woodland Hills". Curbed Los Angeles. Retrieved April 24, 2014. 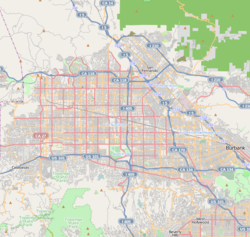 Wikimedia Commons has media related to Woodland Hills, Los Angeles.